You can see people digging up holes or covering it up almost every day. I wonder if we could do something to change it, not dig up the road like twice a week. I agree, roadworks are crucial in keeping road users safe. They also improve journeys and motorist experience in the long run. But have we tried do try to strike a good balance between minimal disruption and the need to regularly maintain and improve roads systems? What do you think? I agree with you. Municipality should do something about this digging. 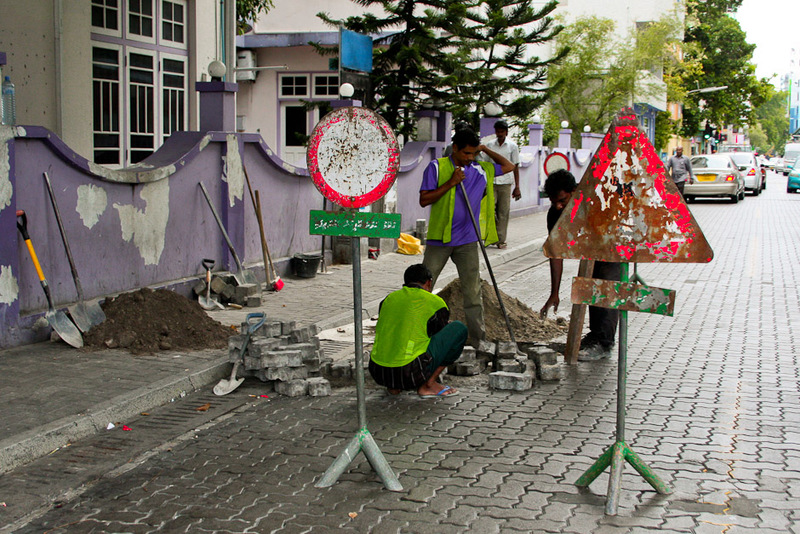 Maybe Veshi Fahi Male' Program will bring a stop to this. coz ppl like you need a internet line everyday. bro what's the meaning of this sign? ?